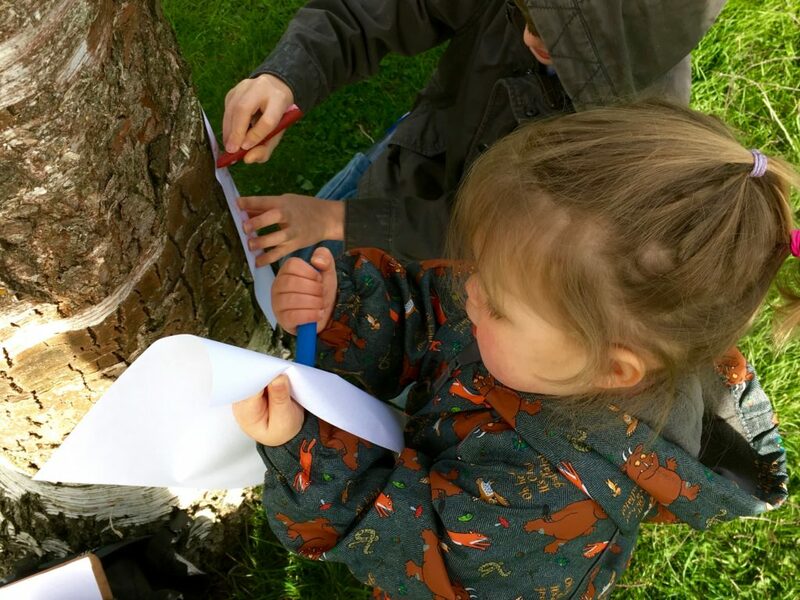 We kind of followed the instructions here from The Artful Parent (if you’ve not seen it before, look around the site there loads for brilliant ideas.) It’s just started to grow so hopefully there will be more pictures soon. During the warmer weather (ha!) 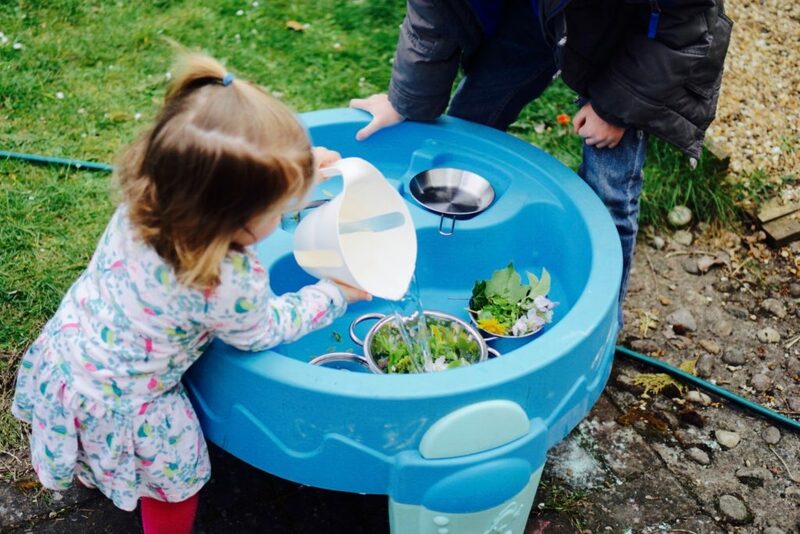 I’m intending to set up a different activity in the water table each month. 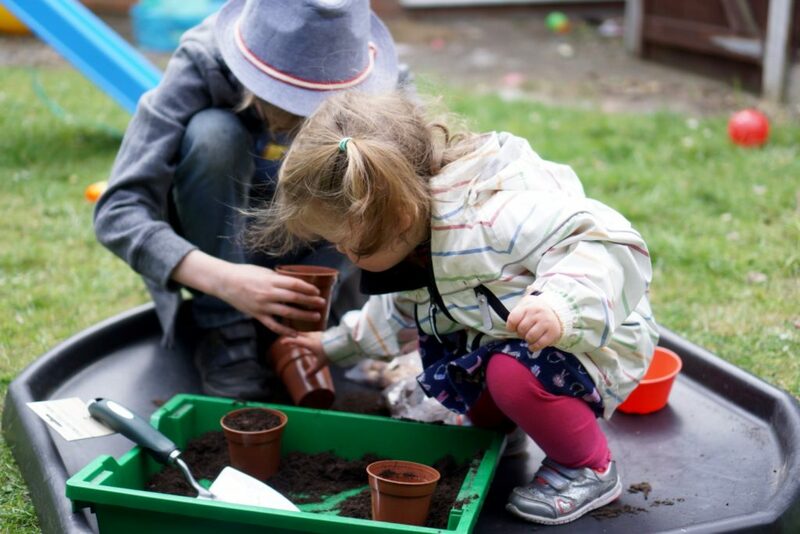 This time we collected flowers and leaves and so on and used them with jugs and pots and pans from the play kitchen. This was really good fun and we’ll definitely do more of it. Details here. 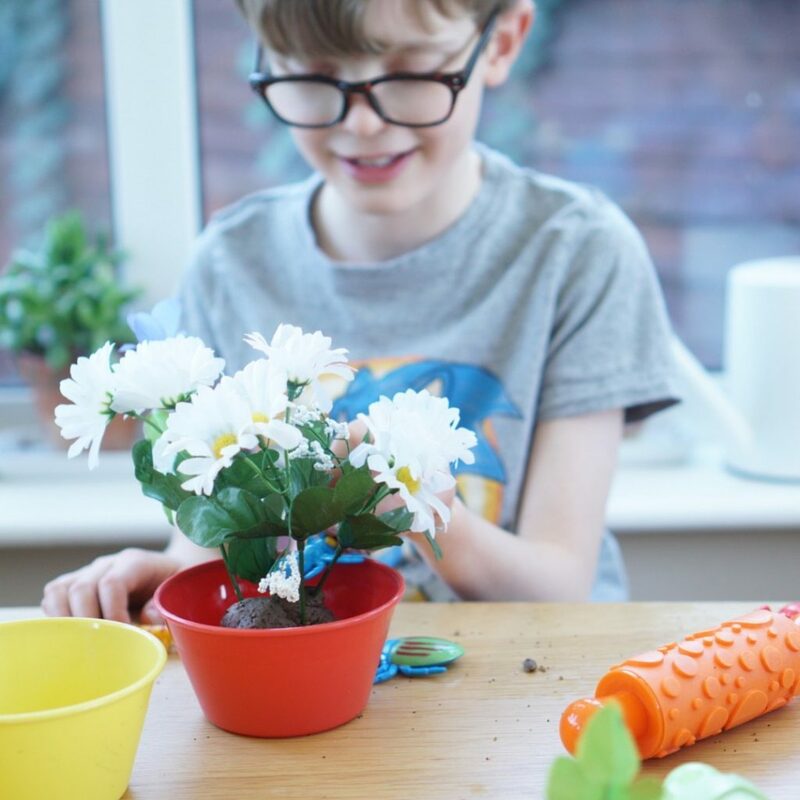 I got some children’s tools from tesco and soil, pots and seeds. I put it all on the Tuff Spot. You don’t necessarily need a tuff spot to do things like this but it does help for keeping everything in one place. 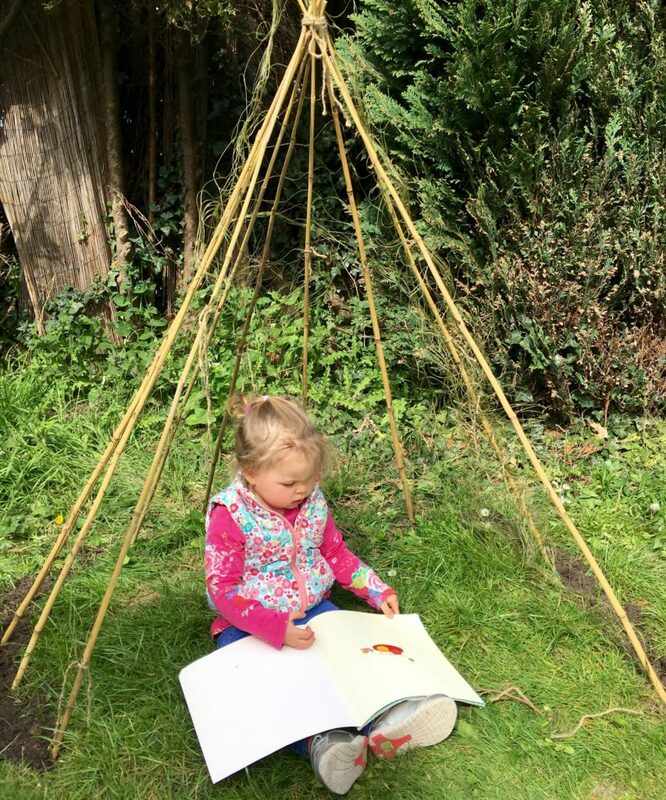 We planted peas and beans and so on and then a few weeks later I transferred them to the teepee since the birds had stolen a lot of the initial seeds! This was the least well prepared sensory tub I’ve done in a while – so of course it was really well loved. 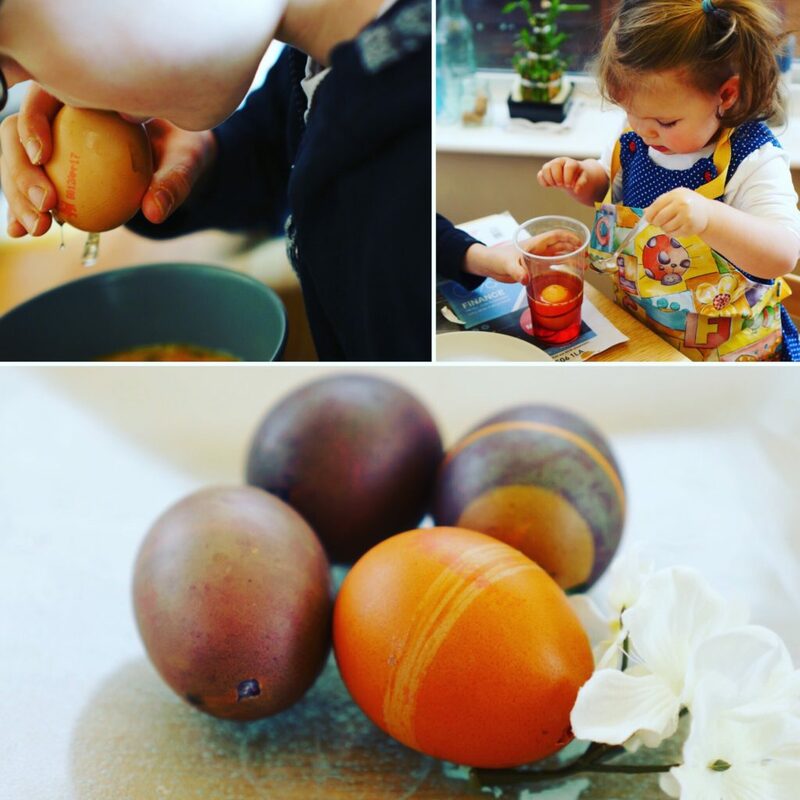 I had bought a lot of random spring and easter themed things for the easter holidays but the weather was beautiful so we didn’t do a lot of crafts! I dumped the whole lot in a tub and they played for several days!! I’m fully intending to write a proper post about this – but then I was planning on writing proper posts about all of them! I got the idea here and basically used a lot of the same things. I cut up the little bits of wood myself with a hacksaw! 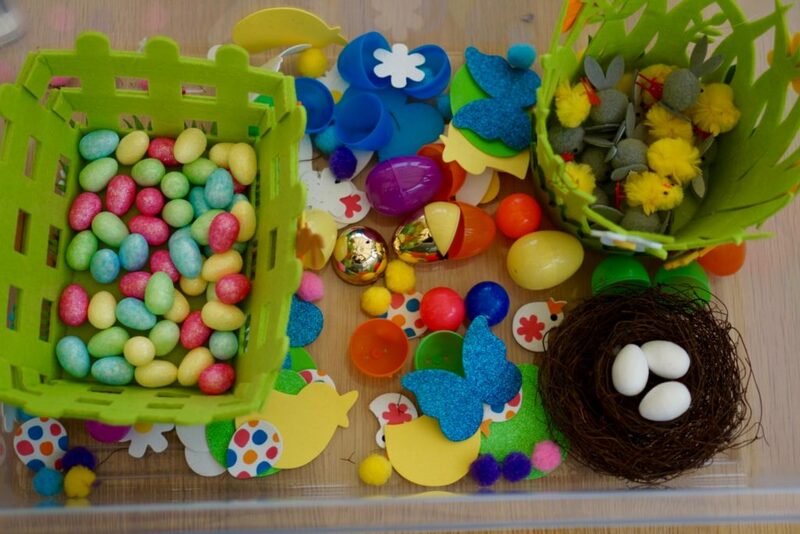 There was also: grass, twigs, twine, and birds – the birds were bought specifically for this set and they’re lovely! 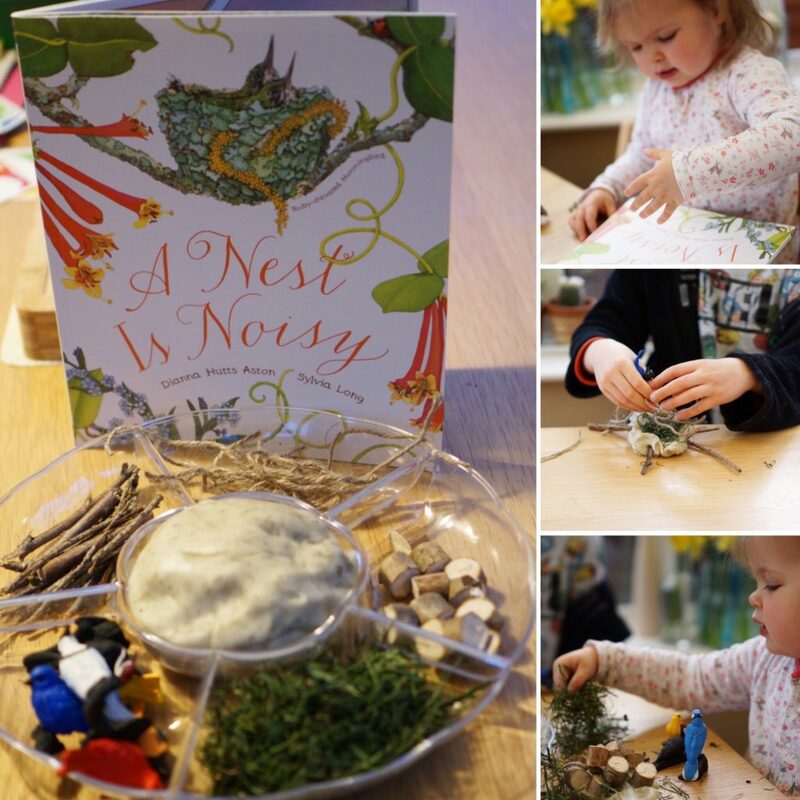 We also looked at A Nest is Noisy which is full of beautiful illustrations and information. The play dough went ‘funny’ pretty quickly – I don’t think I made it properly so this set didn’t get as much play as usual. Maybe I’ll make another batch and try again. Phew – that was a lot of things – I don’t feel so silly for avoiding writing! Full disclaimer – this was spread over the whole of the 2 1/2 week easter break and some weeks either side! 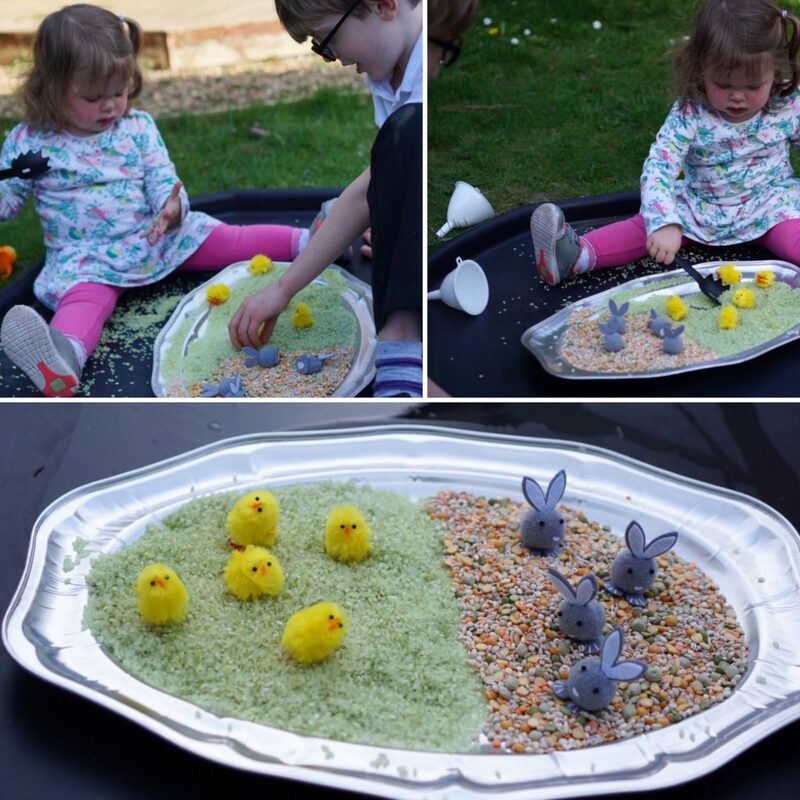 This entry was posted in Primary School Children (5-10), Sensory play, Toddler. Bookmark the permalink.